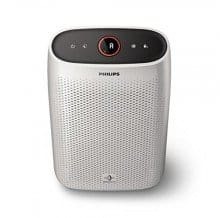 If you’re in the market for a quality air purifier, you might want to check out the Philips brand of purifiers. They make a number of different air purifiers to suit rooms of different sizes and with various additional features. The specific model I’m looking at in this article is the Philips 1000i Connected Air Purifier. It’s attractive, portable, and it’s a smart WiFi enabled air purifier with True HEPA. 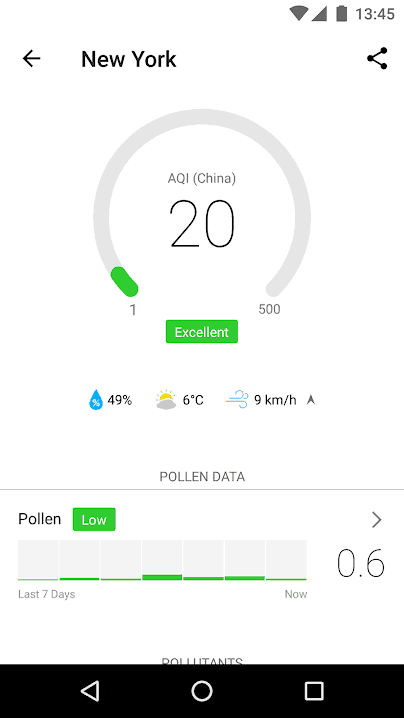 It works surprisingly well with the free Air Matters app on a phone or tablet. As an air cleaner, it does an excellent job of reducing pollen, allergens, dust mites, mold, pet dander, odors and gases* and this model is recommended for bedrooms up to about 200 square feet. Once you lift your Philips air purifier out of the box, set up as easy-as-pie. Simply remove all packaging materials and tape. Oh and… be sure to remove the plastic wrap on the brand new filters. Set it up. Plug it in. Turn the machine on – and enjoy. 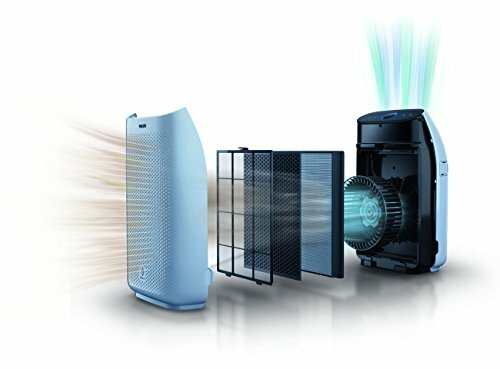 The Phillips line of purifiers captures particles as small as 0.3 microns and it captures in total, about 99.97% of all particles that pass through its filters. To get it working at it’s best to scrub and re-freshen the air in your room, it’s best to crank it up to top speed, with the door and windows closed, for about an hour or two on average. How much time is actually required to fully purify the air is dependent on the current air quality. Since it’s a smart air purifier connected to a user-friendly app, you can use your Wi-Fi connection to control your purifier anytime, from wherever you happen to be. Ease of use and instant control from any device makes this one an air purifier lots of people love. Product dimensions for the Philips 1000i air purifier measure 10.1 inches x 14.6 inches x 23.7 inches high. It’s lightweight weighing in at just 14.45 pounds and with the built-in casters, moving it from room to room, should you choose to do so, is a breeze. Engineered for rooms up to about 200 ft.², the Phillips 1000i is ideal for a master bedroom. But buyers have reported using their machines in variety of spaces – including the kitchen. Despite its usefulness in purifying air, this one does NOT use a lot of power and is Energy Star certified. What’s interesting about the design, apart from the eye-pleasing aesthetics, is that Philips offers a triple filtration process with it’s purifiers. It makes sense to have multiple filters to increase the effectiveness of the purification process, since most of us are dealing with a variety of mostly invisible pollutants. By casting a better net, designed specifically to capture more common contaminants, the Philips 1000i significantly reduces the amount of the pollution in a given room. First the pre-filter stops the largest of particles. Then the true HEPA filter goes to work removing even smaller particles – anything it can capture that the pre-filter missed. And it’s the active carbon filter (with real carbon particles) that absorbs dangerous VOC’s (Volatile Organic Compounds). Together, this triple filtration process is proven to reduce gases*, odors, mold, allergens, and even certain bacteria. *Important Side Note: this machine (and no other air purifier that I know of) does not detect, reduce, or absorb carbon monoxide gas. So, if your home is heated with natural gas, or your kitchen features gas appliances, be sure your family is protected with the quality carbon monoxide detector like this one. When the Philips 1000i is running on automatic, it uses its built-in, professional-grade air quality sensor to detect changes in air quality. It then makes adjustments in the fan speed, in order to adapt to those conditions instantly. Even the slightest variation gets noticed and the purifier responds accordingly. With this readily-available, real-time feedback on the air quality in the room, you know right away whether the room needs more air purification, or not. What’s particularly interesting is that all of the data collected is displayed numerically and by color. So you know at-a-glance the condition of the air. 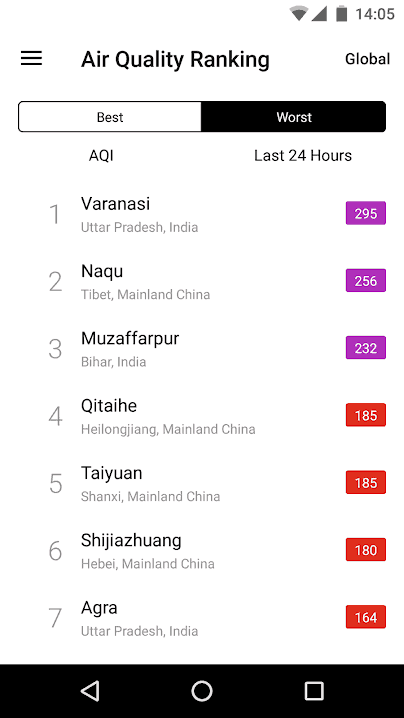 Air quality is measured on a scale from 1 to 12; 1 indicates clean air and 12 tells you it’s the exact opposite and definitely not safe to be breathing. With the colors, there is an instant visual cue as well. Blue is the color you want to attain as this indicates a safe level of allergens and particulate matter. At the other end of the scale is red and that signals problem air, which is bad for allergies and likely contains a higher count of particles as well. 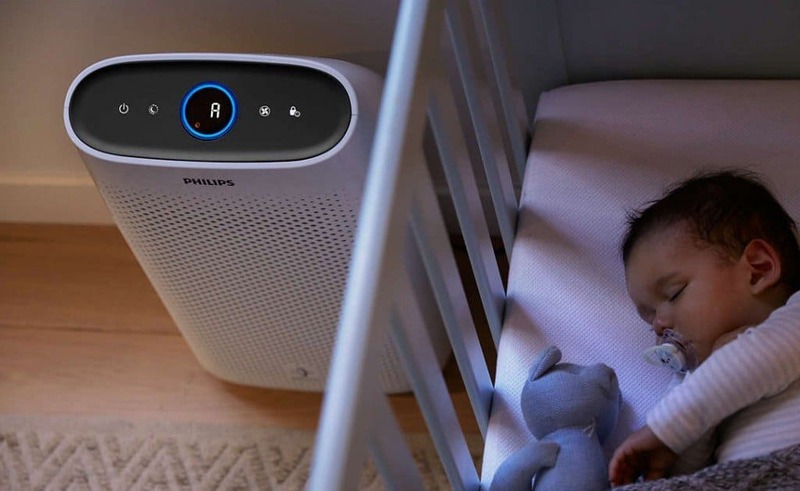 With three automatic purification settings: a general mode, extra sensitive allergen mode, and what Philips calls “NightSense” mode, the 1000i covers all the bases. When running on automatic, the purifier shifts to NightSense mode and turns down the light automatically and fan speed when the room becomes darkened. That’s one of the features that makes this a good choice for a bedroom. You can choose which of the three modes to use at any given time to create the ideal conditions for your air quality. If you suffer from allergies, for example, you’ll probably opt for the “extra sensitive allergen mode”. For anyone with allergies, this machine is a godsend. it’s a glorious thing to wake up with a clear head after a restful sleep. Like most buyers, you’ll likely find that the quality of your life improves as the quality of your indoor air improves. To make it just right for you and the given air-quality status of the room you’re in. Alternatively, you can run it on automatic and let Philips technology go to work for you. Since the Philips 1000i air purifier is app enabled, you don’t need to be next to the machine – or in the same room or dwelling, for that matter. 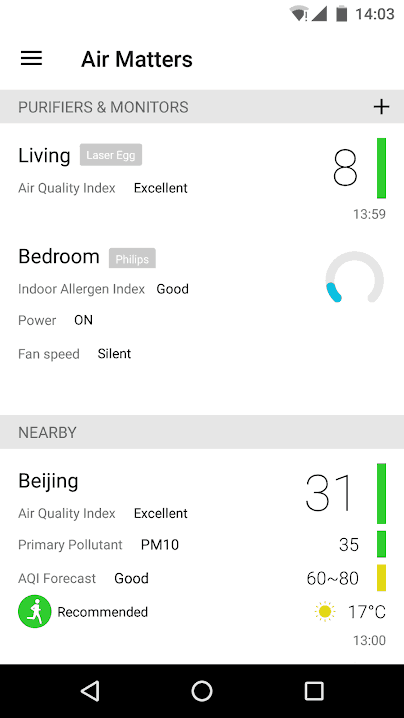 You can control it from anywhere through Philips own Air Matters app. 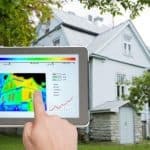 As with smart devices and appliances in virtually all markets, the most common problem encountered is not being able to quickly and easily get things set up correctly. It can take a few tries – especially if smart technology is new to you. But once the technical aspects are ironed out, the Philips Connected Air Purifier itself seems to run flawlessly. 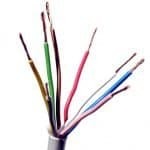 Some users have reported connection problems with the app. This is likely to change soon as Philips seems quicker than most large companies in adapting to changing demands and technology. Others have reported a slight problem with the app. This is common amongst new users of smart devices and appliances. One simple fix that often works is to simply close and remove apps that you’re not using. In other words, clean up device by making more space. Reboot your phone or tablet and your “Air Matters” app should work correctly for you. There are four manual speed settings from zero right up to turbo speed. Naturally, the higher the speed, the more air that gets filtered and the faster your room’s air gets purified. But like any device that has an electric motor inside, this one can cause some vibration. The noise may seem excessive on a hardwood floor. So it’s much better to place your air purifier on the carpeting, a rug, or rubber mat. 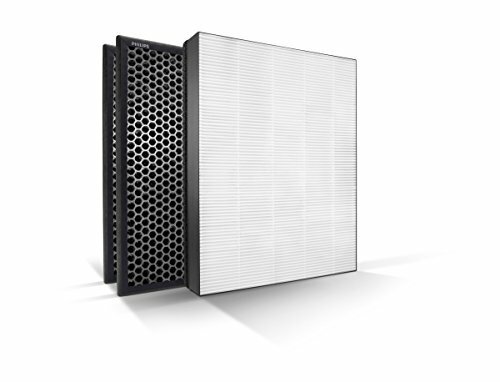 As with all quality air purifiers, filters need to be replaced. So any buyer needs to absorb, or at least factor in the cost of filters over time. By the way, the best air purifiers all require filter changes, since they become clogged with pollutants and need to be disposed of. One good thing regarding the filters (apart from their stellar performance in Philips purifiers) is that the pre-filter can be washed, dried, and reused. You’ll want to make sure your pre-filter is clean and fully functional at all times, since it serves as an excellent “catch-all” for larger airborne particles. Thorough drying is essential. It’s a good idea to pick up a second pre-filter, so you’re never stuck in limbo, waiting for your pre-filter to air dry. It is recommended that they be changed every 12 months. Active carbon filters, on the other hand, need to be changed every six months. Therefore. it make sense to buy two active carbon filters and one HEPA filter every year. You can buy the filters individually or get them all in one convenient bundle with this annual replacement filter pack. As mentioned, the 1000i is designed for bedrooms up to about 200 ft.². There are other larger models to handle different size rooms. All Philips machines in this line are basically the same “smart” purifiers, using the same app. But each is built with different capacity to process a specific amount of air. If you have a room larger than 200 ft.², it is recommended that you upgrade to a slightly larger model. If you push any purifier beyond the manufacturer’s suggestions, you probably won’t get the best results. Set up is quick and easy – machine was running within minutes. While it isn’t perfect (what appliance is? 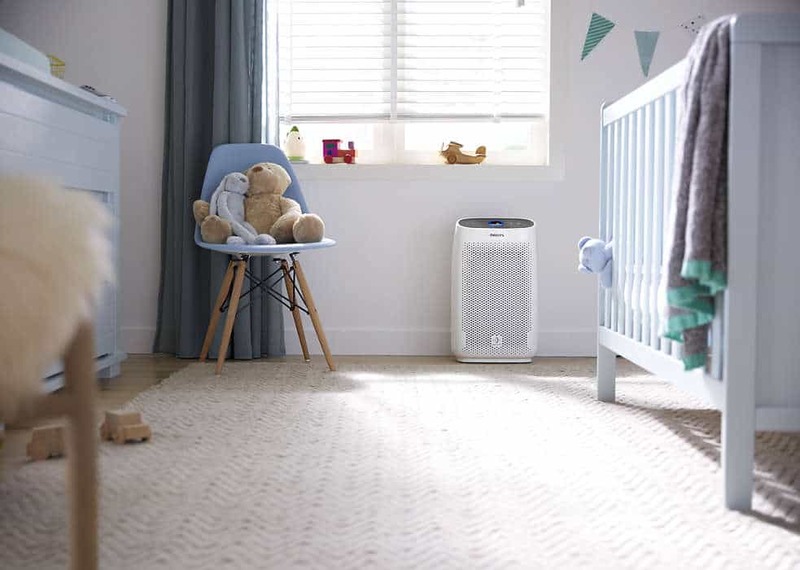 )- there is a whole lot to like about the Philips 1000i Connected Air Purifier. Most people are surprised just how strong the purifier is in taking air in for processing. But many first-time air purifier buyers are equally shocked by the quality (or lack thereof) of their indoor air. Being able to regularly monitor your purifier from any location from the phone in your pocket or purse, makes buying a smart purifier that much more satisfying. Sure it’s a little more expensive than other purifiers. But it’s also less expensive than those machines at the higher-end of the market. But, it’s a solid performer from a quality company that’s been around for a long time and is well respected. When it comes to something as important as the air your family breathes, it’s best to go with a quality brand and a proven performer.